Today I am going to talk about the EVN called as Easy Virtual Network and is the new Technology. What Is the Value of EVN? What Problems Does It Help Solve? involved in the data path, creating a lot of burden in configuration management. without specifying the VRF name in every command. Dynamic Host Configuration Protocol (DHCP), or Domain Name System (DNS). •The EVN feature uses VRF-Lite in order to create several (up to 32) routing contexts. •The connectivity within the Virtual Routing and Forwarding (VRF) between Layer3 devices is ensured via Virtual Network (VNET) trunks. •The VNET trunks are regular dot1q trunks. •Each VRF that must be transported across the VNET trunks should be configured with a VNET tag. •Each VNET tag equals a dot1q tag. •The dot1q sub interfaces are automatically created and hidden. •The configuration of the main interface is inherited by all (hidden) sub interfaces. •Separate instances of routing protocols should be used in each VRF over the VNET trunks in order to advertise prefix reachability. •Dynamic route leaking between VRFs (opposed to static routes) is allowed without the use of Border Gateway Protocol (BGP). •The feature is supported for IPv4 and IPv6. 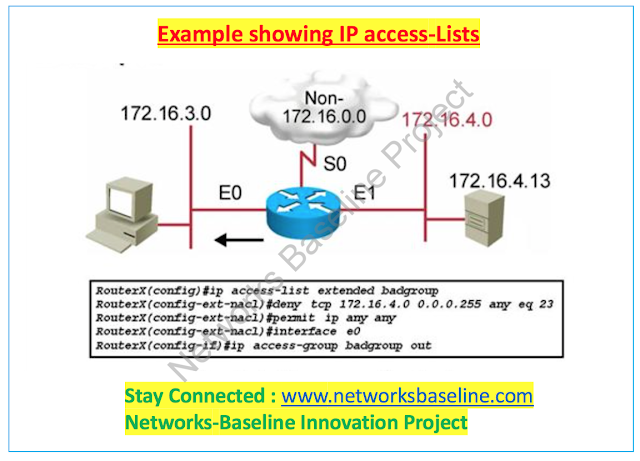 Networks Baseline is a group of Network Engineers having the huge experience in Cisco network and architectural domain.